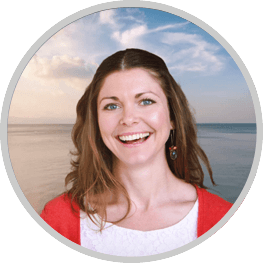 Mandy grew up on the sunny and sandy shores of Orange County California. Spending formative years in, on or under the waters there left a lasting impression of how important our oceans are to our world and well-being. 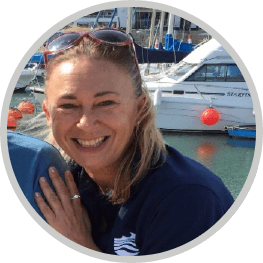 After moving to the UK, Mandy spent many years working for UK fishing companies and gained a greater understanding of the drivers and evolution of the UK fleet and attitudes towards more sustainable fishing methods. Working with the fisherman in BLUE's UK projects, has provided Mandy with an opportunity to find the win-wins and help develop better markets for fisherman working hard to operate in a sustainable way and going beyond the basic legislative framework to do so. Rowena grew up in Weymouth, Dorset close to Lyme Bay. She is a graphic designer by trade having studied graphic design at Falmouth University and marketing communications practice at Bournemouth University gaining a Postgraduate Diploma. Staying by the coast during her education years was important. Rowena has over ten years’ experience working for a number of government organisations with strong connections to the environment. She is the communications officers for Lyme Bay Reserve and assists in the development of the education programme. Morven is an experienced marine conservationist who has worked in a range of marine research, conservation and fisheries posts over the last five years. 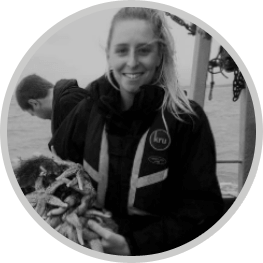 She has an MSc (Marine Environmental Management) from the University of York with specialist areas of expertise in UK inshore fisheries engagement and management, conservation planning and community-based management. Morven joined BLUE in 2016 with the primary aim to deliver sustainable models of fishing that achieve real conservation gains and economic rewards to fishermen and local communities. Morven has been instrumental in the success of the Lyme Bay Reserve and is currently in the process of implementing four new projects for BLUE, using the Lyme Bay model as a template, to maximise the long-term benefits for small-scale artisanal fisheries and improve habitat protection for marine fauna and flora. Tim is a businessman with a background in television media. He was a main board director in ITV before setting up his own broadcast consultancy and later running European operations for a US media company. He co-founded Fish2fork, the sustainable seafood rating website, in 2009 and a year later helped set-up BLUE. In 2011, Tim was heavily involved in setting up the Lyme Bay Fisheries and Conservation Reserve Working Group to forge a collaboration between fishermen, conservationist, scientists and regulators to manage the MPA designation and achieve a “win-win” model for fishing and conservation. Tim also helped create the “Reserve Seafood” brand to help market the sustainable, premium quality fish and shellfish landed from the Reserve and provide a financial uplift to the fishermen as a reward for adhering to best-practice methods. The success of the Lyme Bay model has led BLUE to adopt this management method in other inshore waters around the UK and in the Mediterranean. Adam is a marine ecologist undertaking research focussing on the impacts of various anthropogenic activities on protected marine habitats. 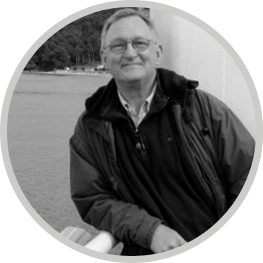 His primary focus is fisheries, having been involved with the Lyme Bay reef recovery monitoring since 2010, but has also contributed to research on the impacts of marine renewable installations and marine litter. Adam has recently completed his PhD which assessed the impacts of commercial potting on reef habitats and the associated commercially important fauna within the Lyme Bay MPA. 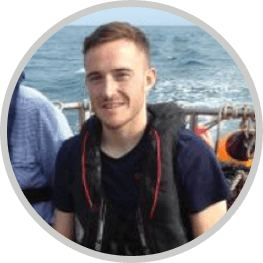 Adam is currently working for the Blue Marine Foundation coordinating research projects across multiple study sites throughout the UK, with the aim of providing conservation benefits and improving the sustainability of small-scale fisheries.